I've been MIA for the past week or so and it will continue until the weekend. Been spending a lot of time with family and friends who are in town for the Holidaze. It's been a crazy week and it will continue until New Years Day. I hope everyone had a good Holiday Season and I wish you all the best in 2010. 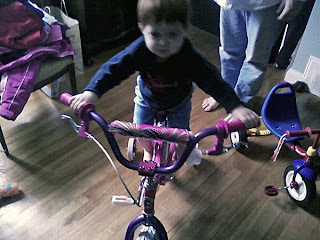 Thanks for all the support in 2009 and here it to another kick a$$ year or riding bikes and having fun!!! 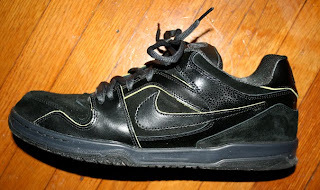 So I got an early Christmas present from Santa, these Nike 6.0's all murdered out! So rad! So psyched to get back on my bike in 2010! Props to Sean Milnes, the below video of him made the 2009 Top 10 Fixed Freestyle Videos on Prolly's site. This is awesome exposure for Sean and a taste of things to come in 2010. In addition, Sean is going to be shredding on a new BMX set-up in 2010 so expect some rad sh1t on 20's as well as his fixed! 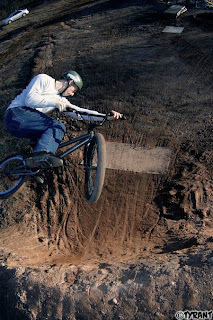 Open Bicycle - Sean Milnes from Quarter Productions on Vimeo. It was good to see Aaron Tauscher out and about at Haven last week. Despite being in a pump air cast and on crutches Aaron made the trip down from Mass. with the Team EAST posse and hung out for a few hours acting as team camera man. Heal up dude! 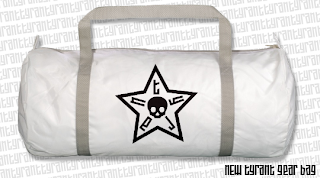 NEW gear bags now available over at the TYRANT Online Store. These nylon bags are Made in the USA by American Apparel and the 20" x 9" size allows plenty of room for pads, a helmet, clothing, etc. Get ready for those 2010 road trips! 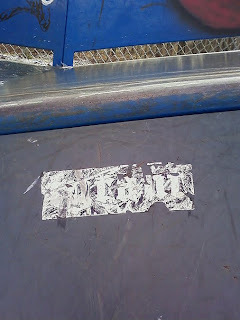 FlipVideo Clips: Haven Skatepark 12/14/09 from T Y R A N T on Vimeo. 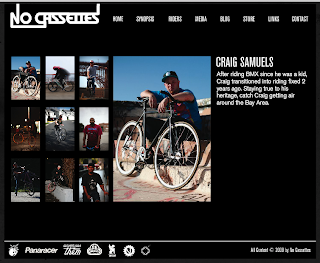 Head on over to the No Cassettes' site and scope out Craig Samuels being all famous on his fixed gear. Yeah Craig! Scope out this video, it's sick as hell! Those dudes rip sh1t up! 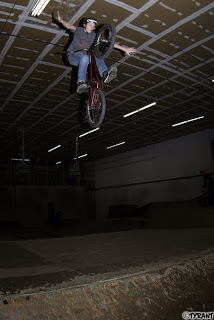 We hit up Haven on Monday and Tuesday for some indoor BMX action! My camera died mid-session last night so I was only able to get a few dozen shots off. Upon returning home I was able to fix the camera issue so I'm ready to rock for next week. Only 3-4 more weeks to go and my hand should be strong enough for me to be riding again! 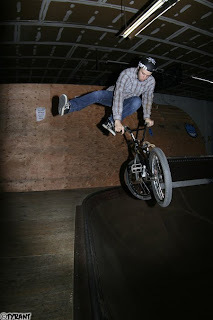 I'm always psyched to shoot photos, but damn I miss riding! 4 months is too long!!! Random Flip Clips - Haven 12/11/09 from T Y R A N T on Vimeo. 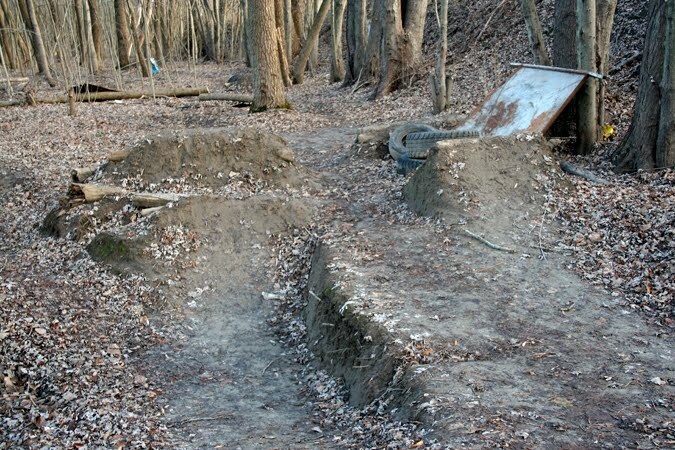 Apparently the City of Middletown is considering putting a skatepark in the North End, but there is no mention of BMX in the article! Click the Press link below and leave a positive, pro-skatepark, pro-bike comment letting them know riders and skaters are equally as important in the community and we need a skatepark! In addition, I set up links to key players in the potential skatepark development. E-mail them too and let 'em know what's up.
" I think the idea would be to have BMX'ers and skaters together. The rep from Spohn Ranch had great ideas about how to make the space good for both." I still encourage you riders, skaters, parents, etc. to voice your opinion and let the powers that be know a skatepark is a great idea! Strength in numbers, remember that! REMEMBER: Keep your message positive and be respectful!!! Sean Milnes is hanging up the fixed gear for a bit and getting on a BMX bike. In the very near future Sean should be on a tricked out new 20" ride and will be joining us for some Haven sessions. Dave Blachura is on a top secret new ride. It's still a 26"...but you'll have to see him in person for details. 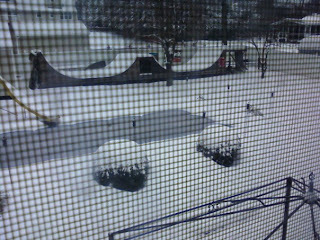 Look for Dave to be going huge at Haven and any other indoor spots in New England now that The Lot is snowed over. Tiny TYRANT painted his bike for the like the 50th time this year. Rumor has it his once 4.8 lb frame now weighs 7 lbs. 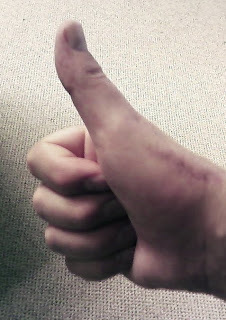 due to all the paint. Maybe that's why the damn thing cracked...from the weight of all that paint! Aaron Tauscher is doing well rehabbing from his seriously busted leg a few weekends ago. He has a follow-up appointment this week to check on his surgical wounds and the stability of his leg...I'll have details soon. Glad to see Aaron staying strong! The Team EAST & DropOut BMX crews are headed down to Woodward this weekend and sadly I have prior engagements here in CT and can't tag along as originally planned. Have fun guys! Rumor has it that come Spring the East Hampton Park & Rec. may be kicking in some cash toward the revitalization or the seasonal Belltown Skatepark down at Sears Park. Pedal Power is already donating a couple grand and with new money from the town we should have some serious cash to buy wood and supplies. Steve Morse is working a new carpentry job and will be bringing his wood working skills to the plate this Spring to get that park dialed. Spring couldn't get here soon enough!!! That's it! Have fun, ride bikes! Random Flip Clips - Fall 2009 from T Y R A N T on Vimeo. 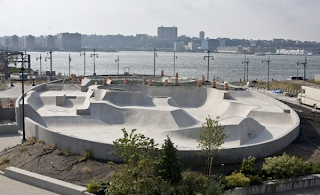 The new Pier 62 public skatepark in NYC looks to be pretty much complete and it's rad! Sure beats the old Chelsea Pier Skatepark...though that clear fiberglass vert ramp was dope! I'm psyched, this park is 11 blocks South of my uncles Manhattan apartment! Looks like we'll be hopping the train to the city this Spring for some overnight sessions. So there is a Town Council meeting tonight at 6:30 at the East Hampton Town Hall to discuss the Sears Park 5 Year Plan...which potentially will include a permanent skatepark. If you're free tonight show up and voice your opinion! I'm not psyched on the fact that a permanent park could be years away, but I am thankful that we are allowed to set up the seasonal skatepark again when the Winter ends and the snow melts. With Steve Morse working as a carpenter and having access to tools and lots of scrap wood and Pedal Power's $2,500 wood donation we're hoping to deck out the temporary park for 2010. By the time we're ready to set up the park in April my hand should be healed up so I can contribute to the building and be riding again! I soloed it to Haven last night to meet up with Steve Morse, Stan Zygo, and some of the Mass. guys. It was a pretty low key session, only 20 riders or so...must have been those 65 degree temps keeping the kiddies outdoors. The last few months at Haven have been pretty rad! A lot of old school faces who haven't ridden in years are getting back on their bikes and shredding again. Age is nothing but a number, always stay young at heart and always ride your bike! 15 yr. old Josh Gryszan from Mass. going big! 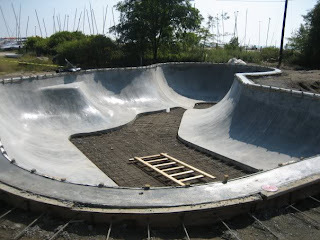 So it appears the Fairfield Skatepark is coming along nicely but I keep hearing mixed messages about bikes being permitted. A few riders and skaters at Haven I spoke to said they'll be permitting bikes, but the skHATERS over on Concrete Disciples are claiming it's no bike. UPDATE: Thursday 2pm - Got a message that bikes, especially ones with pegs, are "discouraged" from using the park but not technically banned. Rock some PLEGs and hit the place up people! Sean Milnes will be headed to NYC on Saturday to get his fixed gear trickery on. I'm sure this is going to be a pretty rad event, a lot of those fixed guys are bonkers! If you're in NYC Saturday check this out...and keep an eye out for Sean...he'll be rocking some TYRANT threads. I threw together a "Best of" album of Aaron. Apparently he has a new fan club of doctors and nurses as a result of his 3 day hospital stay. Aaron will be signing autographs from his hospital bed till 4 or 5 today. Steve and I headed over to Jay's ramp for a late night session with Schmidt, Jay and a few other guys last night. Schmidt's buddy Howard and his friend Jared were skating the ramp and totally going off on the coping pulling out all kinds of tricks I don't know the names of...but it was rad. Steve and Schmidt we're boosting some wallrides and tables and Jay was bombing around the ramp at mach speed, 50% in control as usual. Schmidt's riding buddy Tony came down and was pumping around the ramp on his MacNeil Deuce Deuce. It was cool to see somebody else riding the 22" top tube beast. A session at Jay's is always a good time and last night was no different. So I stopped by the site of the old Cromwell Riverside Trails on my way to work today after hearing rumors that some locals were rebuilding them. To my surprise, the rumors were true and jumps are being built down there...but it looks like a young crowd is behind the resurrection. 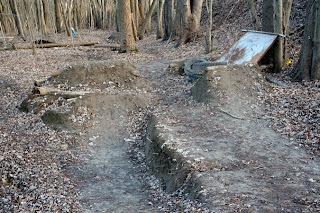 The dirt jumps are small with lots of debris like old tires and scrap wood used to make them. There is an old truck hood set up as a wallride and there is one jump that is literally 1 foot tall with a 10-12" gap. 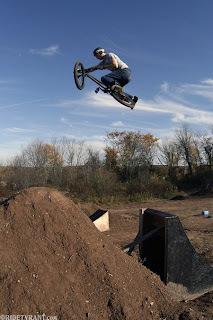 I'm glad local kids are riding and building down there again, but nothing will beat the solid 6 pack and table top that used to exist down there 10 years ago. As mentioned in a previous post, our buddy Aaron Tauscher from Mass. got wrecked at the jam Sunday. 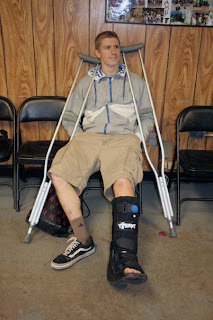 Aaron was admitted to Middlesex on Sunday night with 2 breaks to his tibia and fibula which would require intensive surgery to stabilize his leg. I stopped in to see him at lunchtime yesterday and he was in good spirits with his folks by his side. At 8pm last night Aaron went under the knife for a surgical procedure that took several hours but ultimately was successful in repairing his lower leg with plates and screws. I spoke with him this morning and despite being hopped up on morphine, and not eating solid foods in almost 2 days, he sounds pretty with it. I'm going to try to get in to see him again at some point today because it doesn't sound like he'll be discharged until late in the day or tomorrow. It's always a drag to see a fellow rider get hurt, especially when hospitalization are surgery are required! Heal up buddy, we're thinking of you!